Hey hey, the GAGR management forgot to deactivate our access so we are back for another year! So, just as quick as AAC breaking team protocols, let’s dive straight in to it. 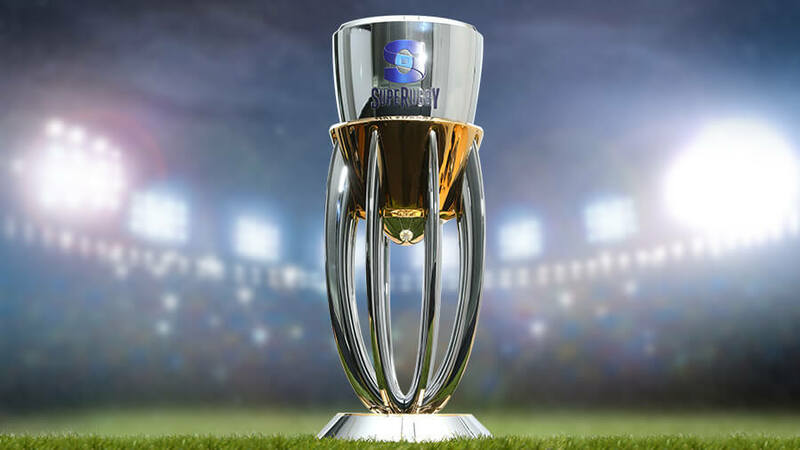 There good news for some supporters, we look at who got blessed by the fixtures fairy and who got a rough deal, and some other stuff that’s really the rehearsal for the big dance; The Rugby World Cup 2015! Err……. It’s really an indication of the tough times at Casa De’ RA when you have to trot out your season 2015 RWC script and do nothing more than some minor character amendments. In case you missed the 2015 Wallabies RWC saga, the storyline was about an underperforming team, the ARU (similar to RA but with some money), grabbing some Aussie to take the helm and hope they get lucky at the RWC after 4 years of constant underperformance and arguably coaching failures. 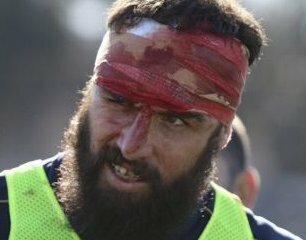 The old episode was star studded with the likes of Genia, Cooper, Adam Ashley-Cooper, Beale, Folau, TPN, Foley, Toomua, Pocock, Hooper, Kepu to name a few, all playing some part in the drama with Cheika himself getting a starring role. 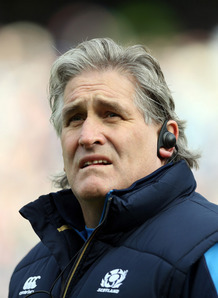 The 2019 RWC story script is remarkably the same thus far except for the late entry of a newly anointed Aussie coaching saviour in . For me it’s a little strange, funny but also a little sad that we are here again with a familiar script. But then again let’s be honest here and even the Super Rugby recruitment round this year resembled more of a jumper swap than anything really strategic and future building. Even Fox Sports has jumped on the Cooper-Genia partnership resurrection. But the silver lining, although just a flash in the pan, was the pre-season games, especially the first. The depth and talent that doesn’t exist in Aussie rugby again put on a great showing with, some certainly getting our attention as having potential for higher level honours. We can’t wait to see them next year for their annual outing; if they’re still on shore that is. Season 2019 already has the look and feel like season 2015 its pretty safe to say. Let’s see how close the script runs. 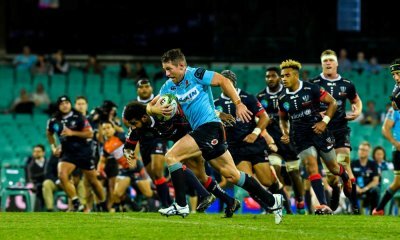 Do will really have a shot at Super Rugby glory? It’s an interesting question. One thing we need to deal with right up front is the ‘under currents’ that might dictate the real outcome. Firstly, we know that Aussie teams will be resting players. What impact that will have is unknown at this point. To rest players all coaches will be taking a risk and we all know that if it’s tight every point will count. I have mixed feeling about this year resting up Wallabies. I get it’s for the (alleged) greater good of Aussie rugby but if it costs my team points, like you, I am not going to be happy. On the other hand, I like the concept of giving some of the non-Wallabies a shot at the big-time. It’s a good way to build depth. In reality this could be all about who has the best depth. Minus Foley, Genia or Pocock do they have enough cover? I think the Brumbies might be best positioned with fairly good cover and not so many Wallabies to rest that will expose them too much. Will Genia shapes to pass. As for the main teams, on paper (again recycling the past) the Rebels seem to be the team that has the best shot but the Tahs nor Brumbies can’t be written off as they both have strong squads. The Reds are an unknown quantity and I believe without a more established flyhalf will fall short of what’s need to feature in the later stages of the season. The other question is how will the Kiwi and South African teams approach SR 2019? Will they take it as a RWC warm up as well? Will that weaken the Kiwi teams enough? We also need to watch out for the Jaguares. They showed form last year and will trying to put the polish and last elements together ready for the RWC. They could be a real threat to the establishment. Right. This weekend it all kicks off. So let’s see what we have coming up for the 4 Aussie teams in the first 5 rounds. 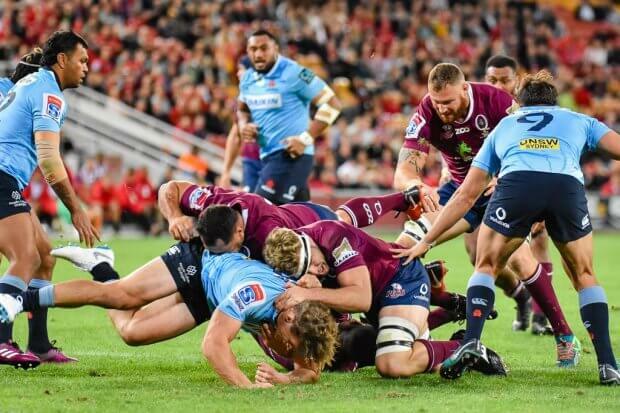 The Brumbies have a bit of a tough start – the Chiefs and Hurricanes who are both always tough, the star studded/Wallaby-filled Rebels twice and the grudge match against the Tahs. The Rebels have it a bit easier, two games against the Brumbies, a bye and the Highlanders, before heading off to SA for the Lions. The Reds start off with a bye – I’m never keen on a round one bye – then head right off the NZ for the Highlanders, back for the Crusaders then down to their grudge match against the Tahs. 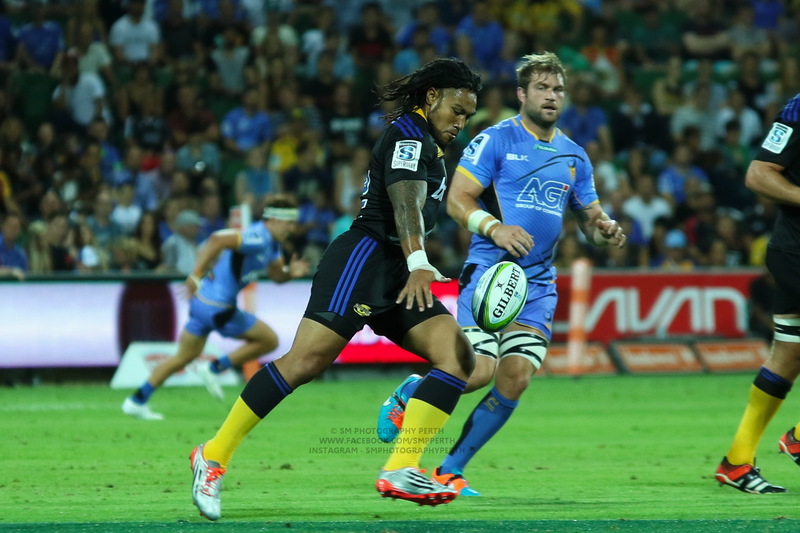 (Is every match against the Tahs a grudge match?). Then off to Japan to face the Sunwolves, who could be tough this year. The Reds probably have the toughest start for an Aussie side. On paper, the Waratahs look to have the easiest. Only one Kiwi side, the Sunwolves, Reds and Brumbies. We know it’s hard to get a read on of how teams are travelling until a bit further into the season, and with the draw it not until mid-season we really will have a good idea how teams are really matched up. It will be very interesting to see how it all plays out this year. I saw a tweet recently, highlighting ticket costs to a certain team’s home games. They seemed … well … high. So I decided to look into just how much it would cost to support each of the 4 Aussie teams. Let’s start with ticket prices. It was a bit hard to compare, given that each has different categories/different seating sections etc. So for each team I am using the category above GA (ie mid range cost) and if possible with seats along the sideline rather than the ends. Now we can’t support our team without the proper clothing, right? So add in a brand new 2019 jersey for the following costs. So it certainly looks like it’s cheaper to be a Brumbies fan than a Waratahs fan. 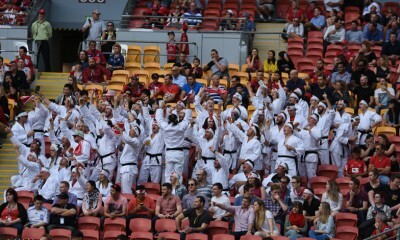 Actually it’s cheaper to support any of the other teams than it is the Waratahs. There is a big margin between the Brumbies and the other clubs in terms of ticket pricing, and from experience I can say those silver tickets are really great seats – right on the fence down the sideline. And at under $90 for a family of 4 – bargain! The Rebels and Brumbies have made an effort to make their jersey’s more affordable this year. I don’t know how much of it comes down to the club or manufacturer, but Canterbury Clothing are really pushing it in terms of affordability! Superhero Sunday. Did you hear about it? Did you know it was going to happen or that it had been on? Possibly not, as over here in Australia it wasn’t really publicised. But in South Africa, over 50,000 people knew about it. And bought tickets to go and see it. It was Sunday the 3rd of February, in Capetown. And all 4 South African Super Rugby teams played their preseason matches that day in a double header – Lions v Sharks followed by Bulls v Stormers. You know what I said before about over 50,000 people? Yep, that’s how many bought tickets to watch these preseason games. Why Superhero Sunday? Because the teams have paired up with Marvel to create themed jumpers for each of the teams. The Bulls – Captain America, Sharks – Black Panther, Stormers – Thor, Lions – Spiderman. The teams will wear these special (and awesome!) jerseys when they play each other during the Super Rugby season, wearing their traditional jerseys against the international teams. But the thing I can’t get over …. over 50,000 people paid to watch the preseason matches!! PRESEASON!!! Eat your heart out RA. EOYT infractions involving the same players (admittedly, 2013, not 2014) and then other possibly major indiscretions from one particular player that were publicized a year out, but didn’t receive the punishment one might’ve expected (Beale was almost sacked in 2014, but played the last two EOYT Tests (being flown over after the first game, something we’ve never done without desperate injury issues at any other time), and this Christmas his video hanging out with cocaine users comes out, and nothing more is said). I don’t think we’ll get the same level of result as 2015 – last RWC, the NH was in a slump. This time, NZ could be the only SH ‘power’ in the SF’s, given the quality of Ireland, England, Wales and even Scotland. The rest question for Super squads will be fascinating. The Rebels are the interesting one for me, because they don’t have an all star pack. The bulk of their Wallabies seem to be in the backs, and it’s hard enough for them to get all their Wallabies on the field at once anyway. So I can imagine them rotating their players through pretty naturally. Whereas you take Foley, Beale and Folau out of the Tahs and they’re shot – even moreso given Hegarty’s gone north. But, aside from extremely poor team management, all of Foley, Beale and Folau won’t be rested at the same time. 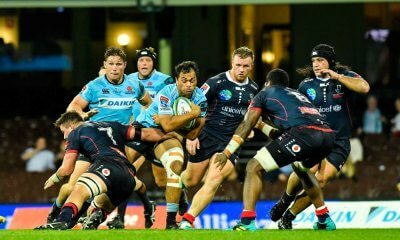 Even so, the resting of players is most likely going to affect the Tahs more than the other teams as they have the bulk of the current Wallabies in their squad. I am already wondering if there might be some reneging on the undertaking to rest players come the end of the Super season. 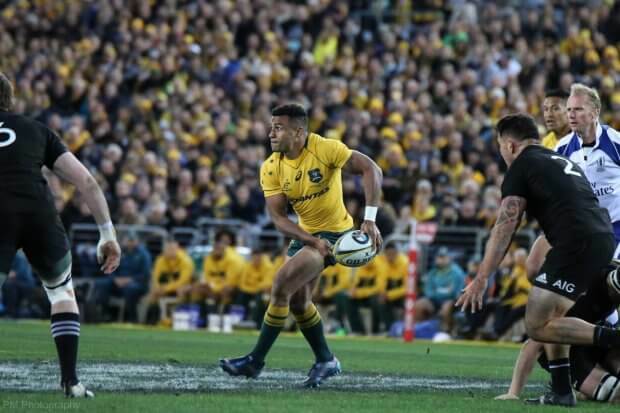 RA need to make it clear that any players who have not achieved their quota of rests by, say, the third last week, must sit out either one or two of those last three games as relevant otherwise they risk forfeiting their spots in the Wallaby squad. But have RA gort the balls to do that? I sincerely doubt it. Valid point. If one team has not rested all their players sufficiently while others have complied, then RA should state they have to be rested. Yep, 50,000. But they went along to watch local teams and local derbies. 20 years and SANZAAR still don’t get that. Great to have you back Mr and Mrs MST. Looking forward to an exciting season and your informative articles along the way. Why is it these days I am surprised when I read logic on any website? Hello MST and welcome back. Glad that GAGR forgot to change your password. The sameness of the Wallaby squad is a concern I do expect Scott Johnsons intervention to be felt in the next cycle for the World cup as he did with Scotland my only caveat is that he won’t be popular with some of the factions. Eg high performance,ance coaching performance or whatever Stephen Larkhams title is these days. Having said that I believe that Scotland is has a few factions that were busted some by SJ. I think the Reds have the worst of the opening 5 rounds. A bye where they can’t tally any points and only one home game and that’s against the Crusaders. Reminds me a bit of the horror start the Brumbies had last year. The Brumbies probably play the toughest opponents, but if they can get a share of wins from those 5 games they will be well set up for a successful season. Maaaaate so good to see you back. I think the off field dramas between resting players, who the 3rd selector will be, how Johnson and Cheika will get on, who will face off who in performance and selection etc, that the actual games will be a welcome relief each week. Just a quick one. Tahs have got my Canes this week. The cost of supporting a team is pretty high but I wonder how high compared to league, soccer and AFL., I think it’s expensive to support any team and if you add in the cost of Foxtel because RA is too stupid to have any FTA games televised then we really are paying for our love of the game. Good luck for the season and I’m already anticipating some great reviews. oops – my bad. All fixed now.